I have always been curious about the food at Bernini in Ybor City. The restaurant is named after Giovanni Lorenzo Bernini, of the late renaissance period (1598-1680) and founder of the Baroque art style. The exterior of the restaurant is beautiful in design and certainly makes me think Italy. 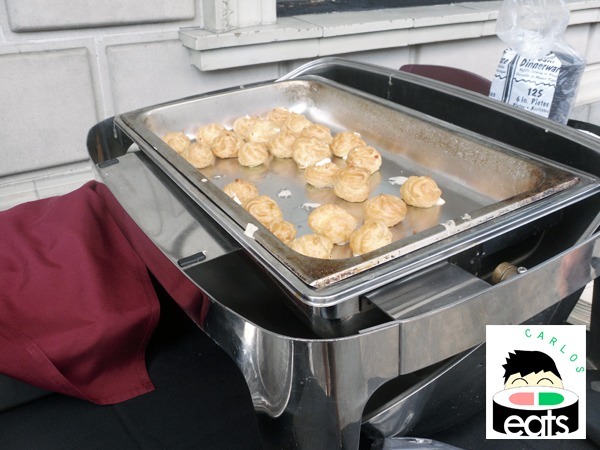 During the Chevy Tapas Trail I was able to try two things from their menu. 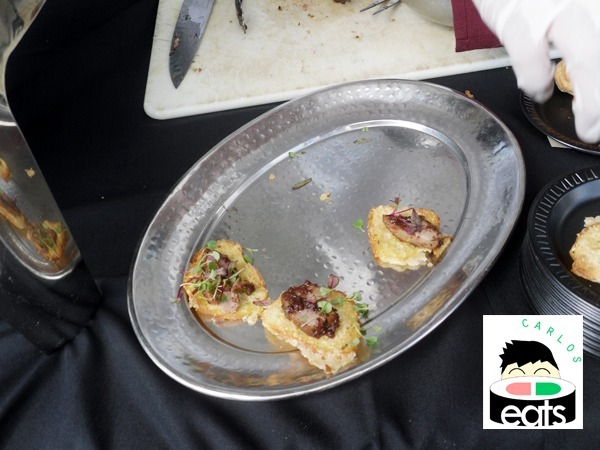 The item listed on the menu was “Sliced garlic marinated duck breast with chianti fig compote on a toasted crostini”. The duck was great, but what stole my attention was the crab and red pepper puffs with roasted corn mousseline that Bernini decided to add-on. 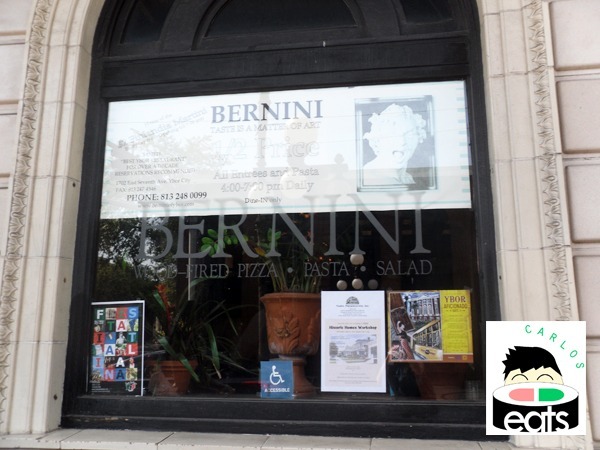 Bernini was one of the first restaurants to open their doors and it was much appreciated as several restaurants on Chevy Tapas Trail were behind schedule and in a 3-hour trail you need all the time you can get. The attendants at the stand were helpful and explained the tapas to me. I left impressed. My plate with the duck tapa. Carlos, go for the early special sometime and try the full menu. Entrees and pasta dishes are half price from 4:00 to 7:00 daily and all Findlandia vodka drinks are $2. It’s the deal of the century! Wow thanks for the heads up! I’ll def. go and try the full menu! Crab and red pepper puffs with roasted corn mousseline? Um, that sounds amazing, if you asked me! I have got to put this one on my list of places to try…especially after Sweet Polly’s comment about the early specials!